"For the first time ever, the majority (72%) of nonprofits are looking to leave Excel spreadsheets behind and invest in more specialized fundraising solutions." 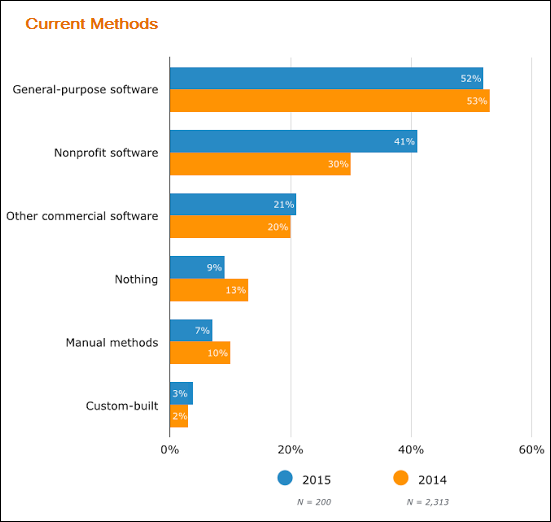 This was a key finding of the 2015 Nonprofit Software Buyerview Report, recently released by Software Advice, a company that helps nonprofits find the right software. 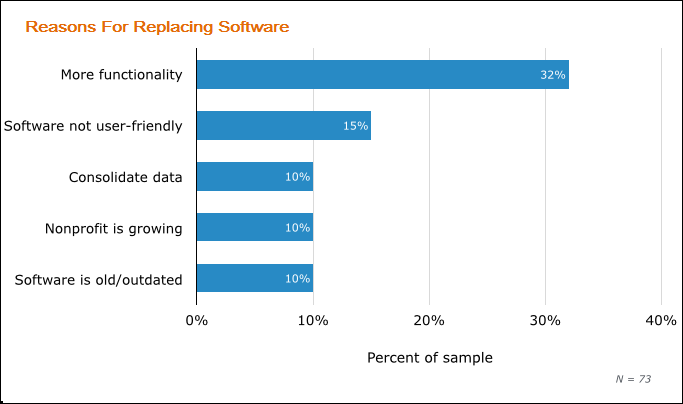 The survey uncovered nonprofits’ most common pain points and their reasons for purchasing new software. In the following Question & Answer session, nonprofit market researcher Janna Finch discusses key findings from the survey of over 200 nonprofits, and speaks to how technology can influence nonprofit performance and success. What was the most surprising/striking finding in your research? Are most nonprofits satisfied with their current systems? Based on the findings of the report, what are the implications for nonprofits? For more information, there is a Nonprofit Software Buyerview Slideshare available, or read the full study here. Thanks to Software Advice for sharing this insight about nonprofit software needs and preferences. Wild Apricot’s Membership Management Software can help you get out of “Excel hell”. It’s an all-in-one solution for small associations, clubs and non-profits. Take a tour or sign-up for a free 30-day trial.